by MarkLives (@marklives) What roles do brands play in today’s world of ecommerce? How does this impact on how consumers choose products? We emailed a panel of key industry executives for their take on South Africa’s ecommerce market. Next up is Gareth Pearson of BMi Research. Gareth Pearson (@gareth_pearson) is CEO of BMi Research, a market research company with particular focus in the consumer, industrial and CPG markets in various sectors, including the retail market. Gareth has 18 years of research experience, is always looking to create value for clients and is passionate about brands, strategy trends and growing people. BMi Research is a wholly-owned subsidiary of Cognition Holdings, a JSE-listed company based in South Africa. Consumers are never further than 2m from their mobile phone at any time. This is an interesting statistic I picked up at a mobile research (MRMW) conference in Chicago a while ago. What does this mean for brand owners? You have a 24/7 consumer connection just waiting to be maximised to improve ecommerce sales. Consumer research conducted in 2016 by BMi Research indicated increasing online activity by South African consumers. They’re actively looking at, comparing, buying and talking about products online. It’s not just millennials doing this; older consumers are making the leap from traditional brick-and-mortar outlets to ecommerce stores. One of the areas of greatest activity is price comparison. Before, consumers only had broadsheets to compare competitors’ prices. Now, they simply do it online. This doesn’t mean they always buy online; many consumers use ecommerce sites as a pre-shopping tool to find the best price, and then visit the store to make their final purchase decision. However, this emphasises the importance of accurate pricing in the ecommerce space, and the need for brand owners and retailers to adopt intuitive price-management software. Current cloud-based solutions, for example, allow marketers to set optimum selling prices for their products by analysing competitor pricing, ensuring that they neither under- nor over-sell, ultimately improving sales and margins. Of course, ecommerce stores aren’t only used for price comparison. South Africa is currently experiencing double-digit growth in ecommerce, albeit off a small base. However, we expect this to gain momentum significantly in the future. To tap into this, brand owners need solid, well-planned and well-executed ecommerce offerings. This means websites that are easy to navigate with products that are correctly categorised and priced. Ideally, consumers should only have to click three times to find the exact product they’re looking for. Any longer, and they will check out of the site. One way to optimise sites for this positive online experience is to include tabs, with different labels but the same product information, along horizontal and vertical menus. This adds flexibility to the site, allowing customers — who all shop and navigate sites differently — to quickly and easily find what they’re looking for. If I were a brand manager, I would be cognisant of how to connect consumers to my online products in as few clicks as possible. It’s important to remember that consumers are not only engaging brands in the online store; they’re connecting with them on all media platforms and channels where those brands are active. Because of this omnichannel engagement, brand owners must strive to create a consistent brand experience for consumers. That means that, whether a brand’s customers are on Twitter, Facebook, Instagram, its ecommerce site or standing in the brick and mortar store, the essence of the customer experience should be the same. Remember, consumers can be fickle, and will choose the channels that suit them best. Outstanding ecommerce experiences can tip consumers who have been sitting on the fence about a certain brand into the camp of new customers, or drive them away. But it’s no good having a slick ecommerce offering that nets brand new customers, only for the in-store or social media interaction to leave them underwhelmed and looking for alternatives. Looking at the current ecommerce landscape in South Africa, there is still plenty of scope for growth. I don’t think we’re going to see an overnight ecommerce explosion but rather, under the current conditions, slow and steady growth. South Africans are tech-savvy, and actually very quick to latch onto new technology. I think we would’ve seen even greater consumer support for brands trading online if it weren’t for the exorbitant costs of data in our country. That being said, I believe a drop in data costs will radically transform ecommerce in SA. Brands should start preparing themselves for that. Because it will be a game changer, and then only the fittest will survive. Launched in 2016, “The Big Q” is a regular column on MarkLives in which we ask key advertising and marketing industry execs for their thoughts on relevant issues facing the industry. 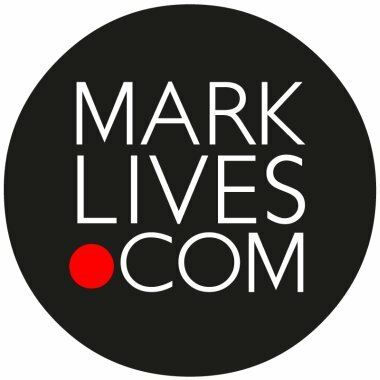 If you’d like to be part of our pool of panellists, please contact editor Herman Manson via email (2mark at marklives dot com) or Twitter (@marklives). Suggestions for questions are also welcomed.